Handy Tip: For the best experience in the chat room, please use a headset.........even a cheap headset from the Pound Shop will work great! 1. 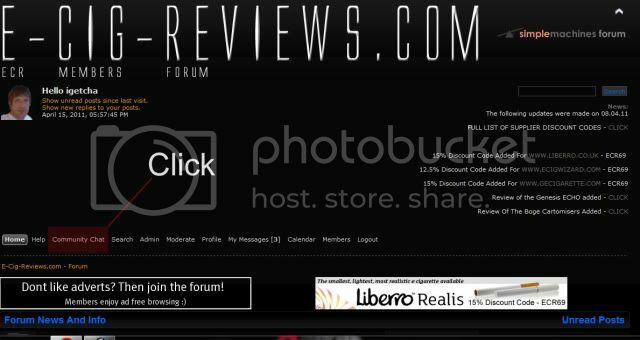 To enter the chat you 1st need to be logged into the forum. Once you are logged in, click the button called "Community Chat"
2. 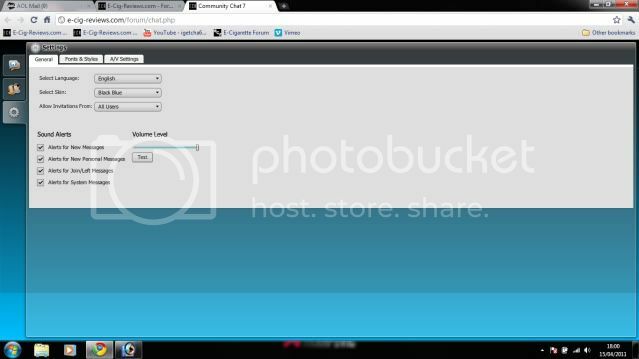 You will then be presented with this screen which is your "Room List" screen. 4. 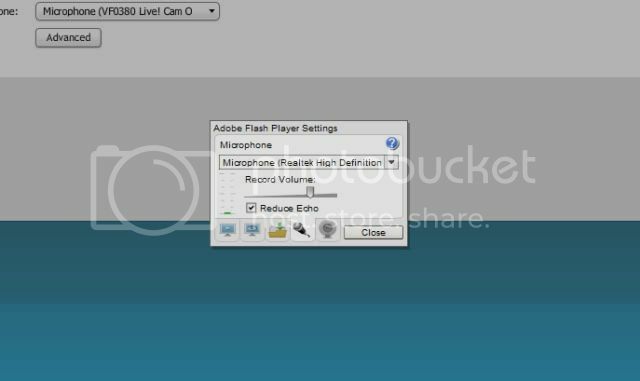 So begin by clicking "Enable A / V"
It will then ask you permission to enable your camera and microphone.........click "Allow"
You will then hopefully see a box showing your live video feed with a smaller box underneath that is showing your microphone level. If one (or both) do not appear.......DONT PANIC!! 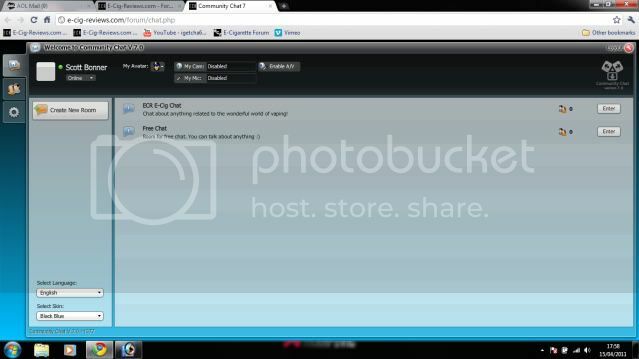 You are almost ready to enter the chat room!! But not just yet! In order to make your time in chat enjoyable for yourself and others then there is one more small thing you need to do. 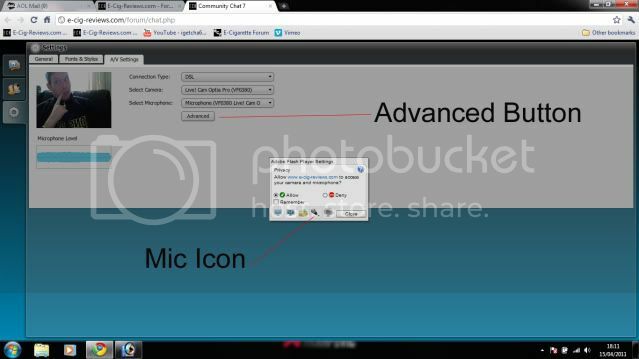 You will also see a small check box called "Reduce Echo"........please make sure that it has a tick in it! Thats it! You are now all set up to enter one of the chat rooms, and as long as the above has been followed correctly you should have a trouble free and enjoyable experience! 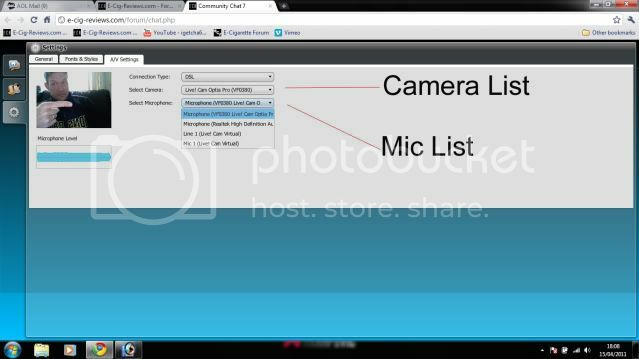 So now you have set up your camera and microphone, lets enter a chat room and start chatting! 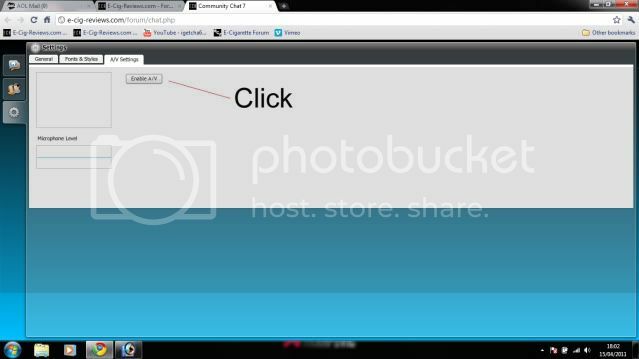 As you click on a persons webcam a box will appear at the top of the screen showing their live video feed......you will also then start to hear the person too! The other people in the room will then click on your webcam and they too will then be able to see and hear you! 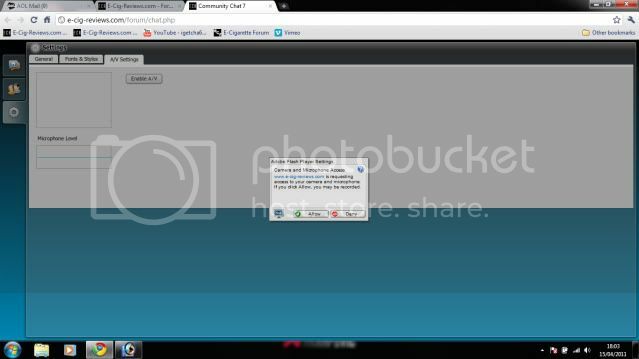 DO NOT CLICK ON YOUR OWN WEBCAM ICON!!!!!!!!!! And that is it! You are good to go!! 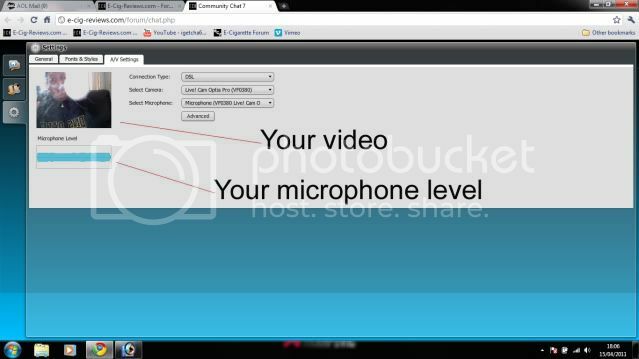 You will only need to do the camera and microphone set up the 1st time you use the chat room as it will save your settings (hopefully!). 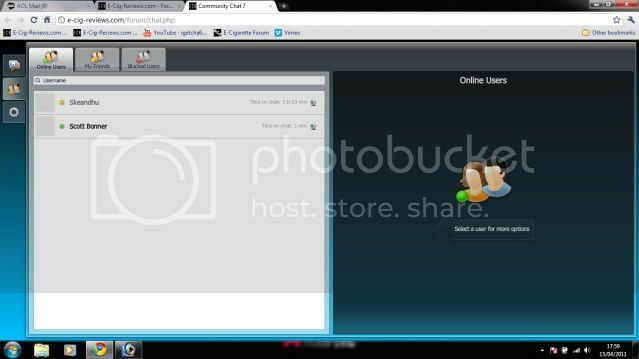 The next time you visit the chat you should be able to jump right into a room and start chatting! This Way And That ! We're all in chat at the moment, well, quite a few of us. It's nowhere near as complicated as it sounds. COR BLIMEY SCOTT I've only just got my head round cartomizers !!! Lovin' all the help anyways. come in mate, we are all in here and you can have a chat with Fiona! Thanx for invite, but ain't got a camera. Like I say, enough techno in my life for the mo! 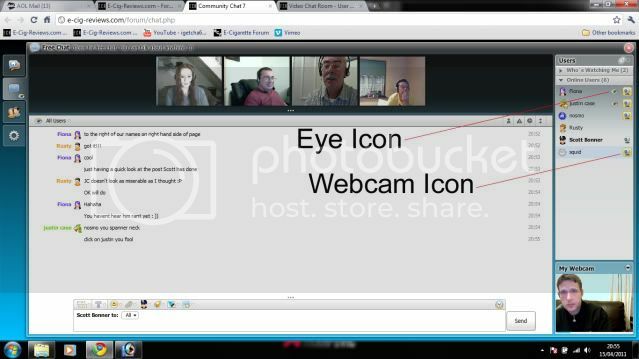 We go in the chat room about 9.30pm onwards...sometimes earlier. Have seen you all in the chat last night and been able to speak to you was a great experience. Shure I'll come back soon.